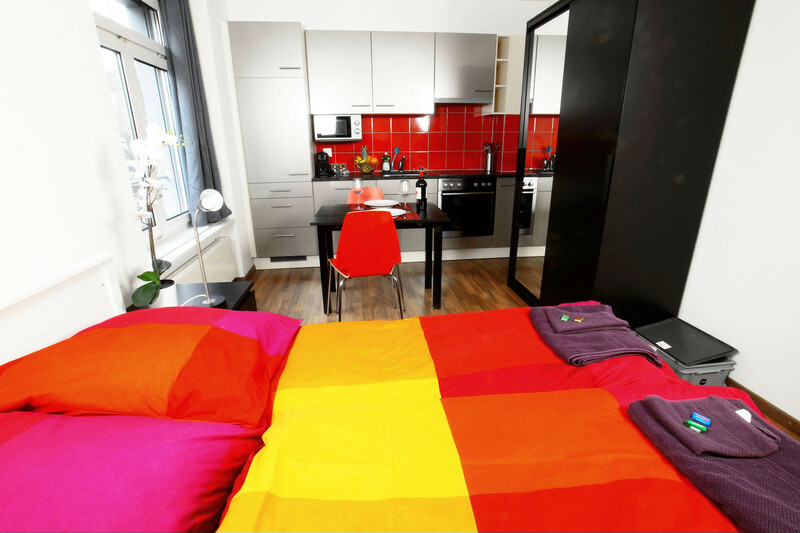 Comfortable and quiet studio apartment with modern equipment, kitchen and bathroom. 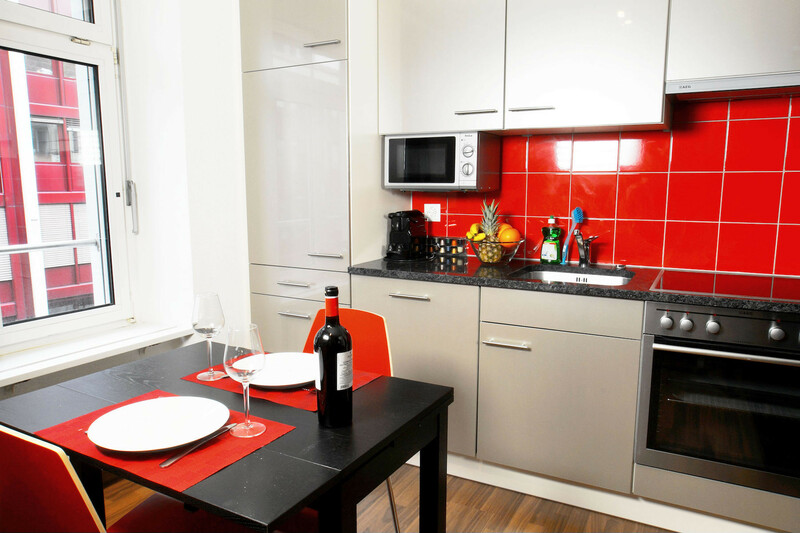 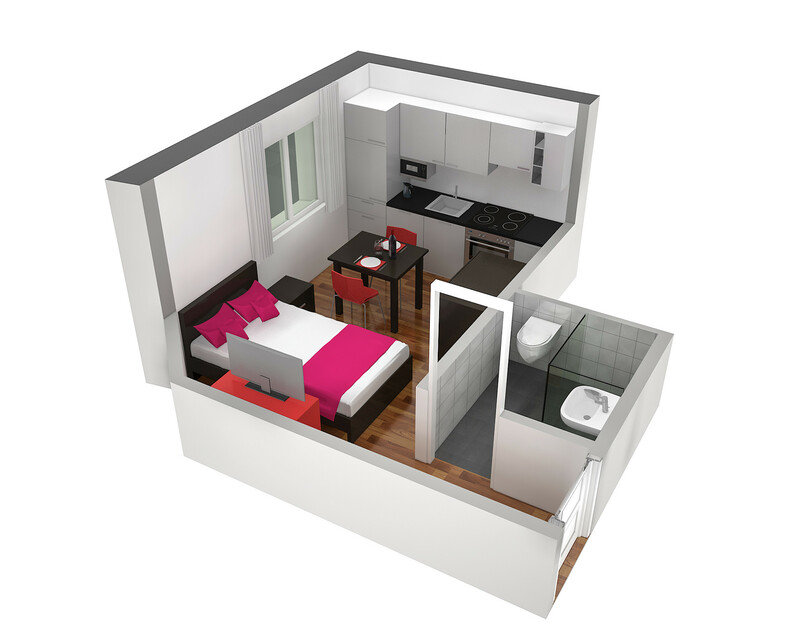 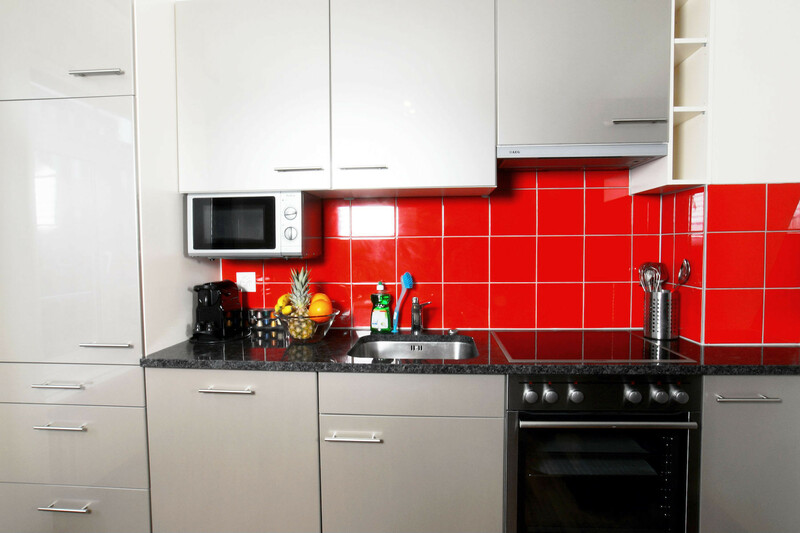 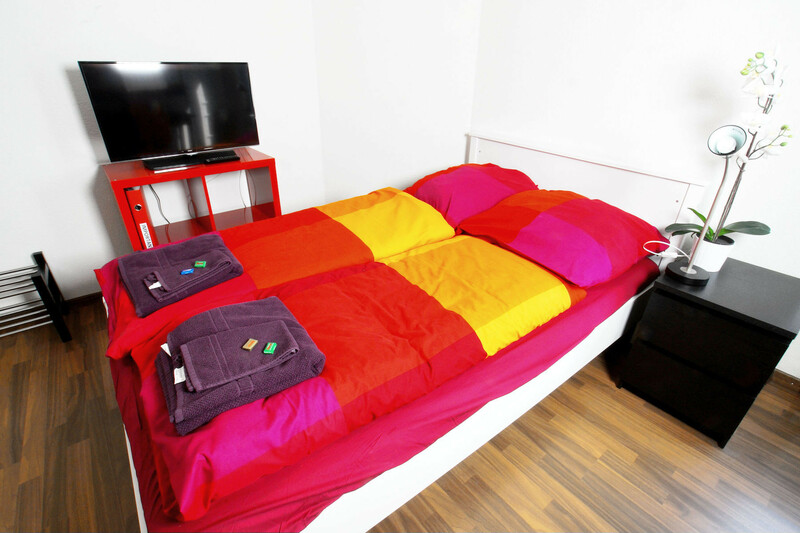 In this small and cosy studio called "Cranberry IV" you live in the heart of Zurich Oerlikon. 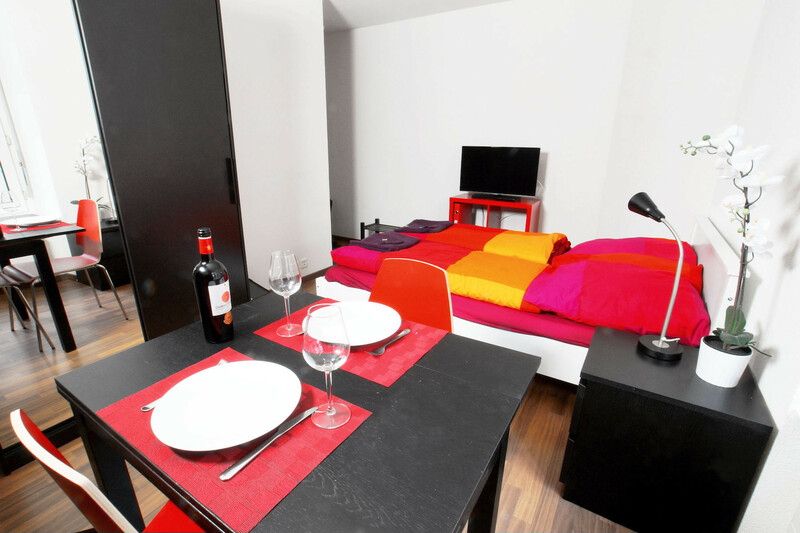 The charming studio offers space for 1-2 persons, has a small kitchen and a private bathroom. 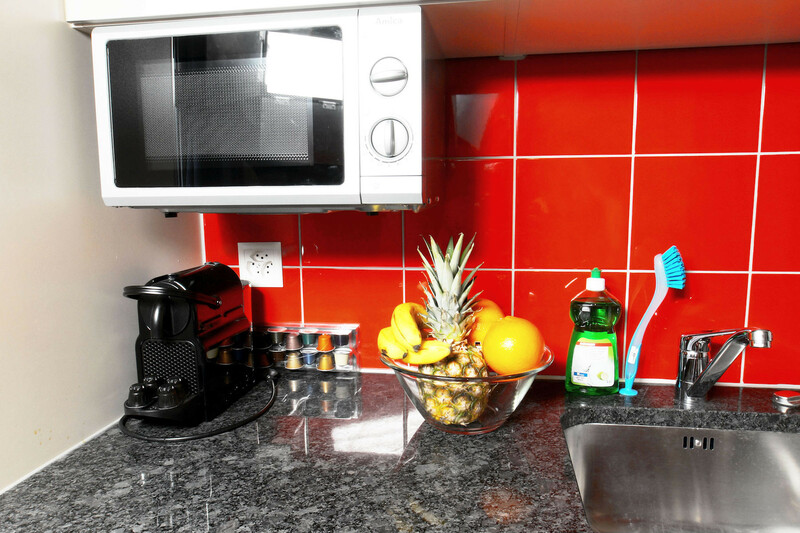 The kitchen is equipped with everything you need for cooking and the bathroom has a shower, towels, hair dryer and bed linen. 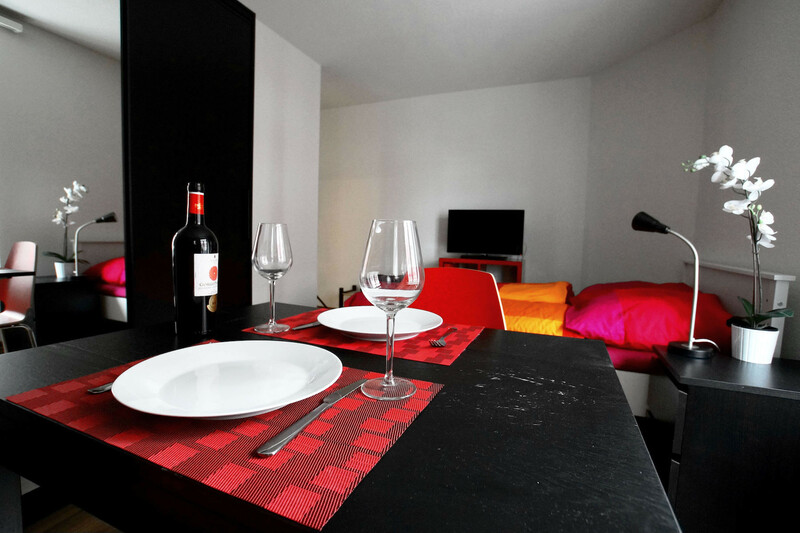 Of course you can enjoy Wi-Fi internet and a TV in this apartment. 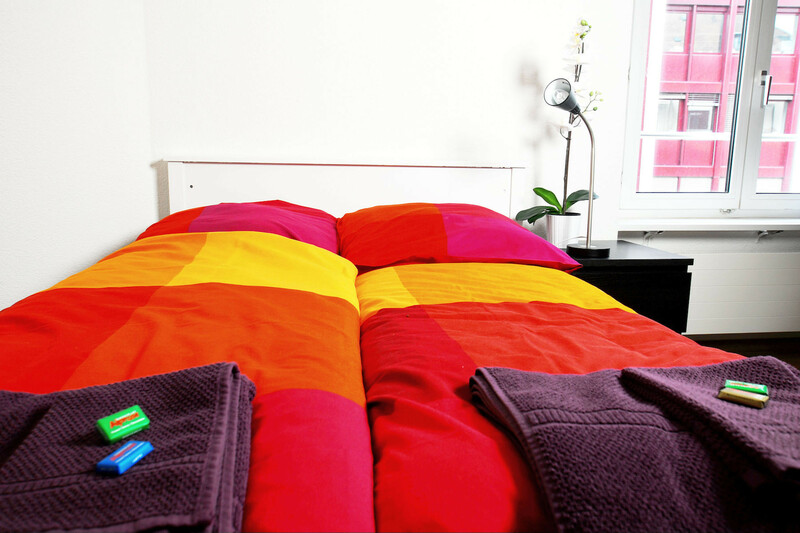 Bed linen, towels and bath towels, all additional costs and the final cleaning are also included in the price. 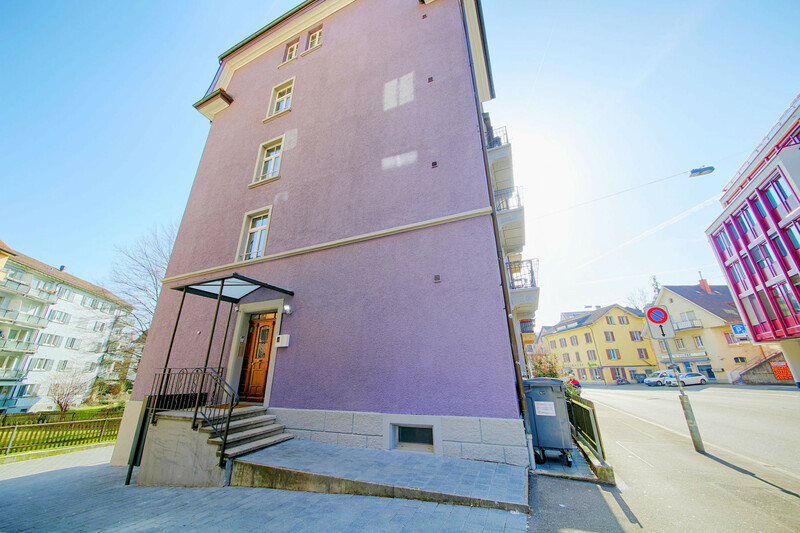 The studio is located in Zurich Oerlikon, in a lively district of the city of Zurich. 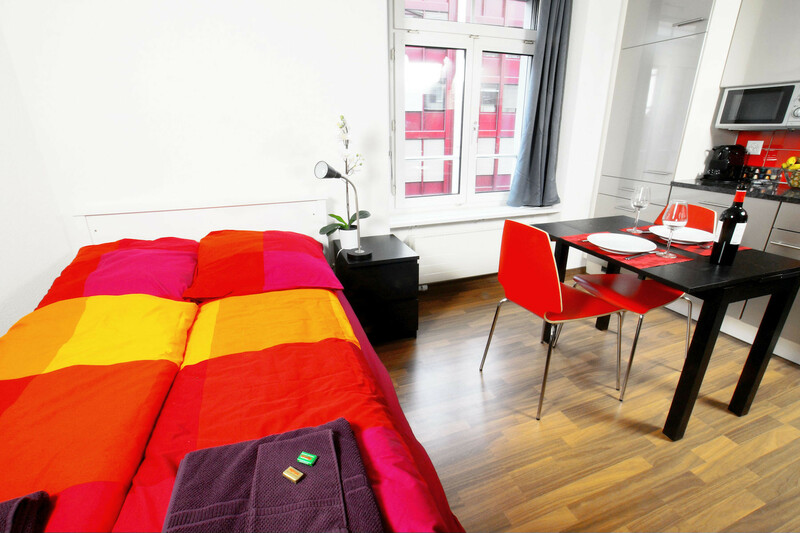 Many national and international corporations have their headquarters here due to the excellent connections to the airport and the city. 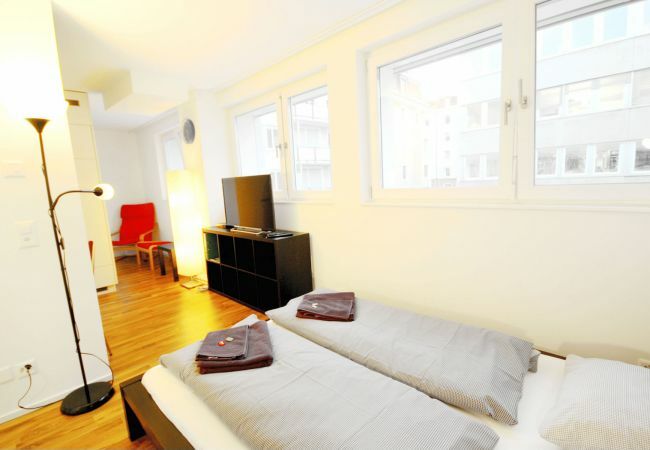 Oerlikon railway station is a few minutes away from the apartment. 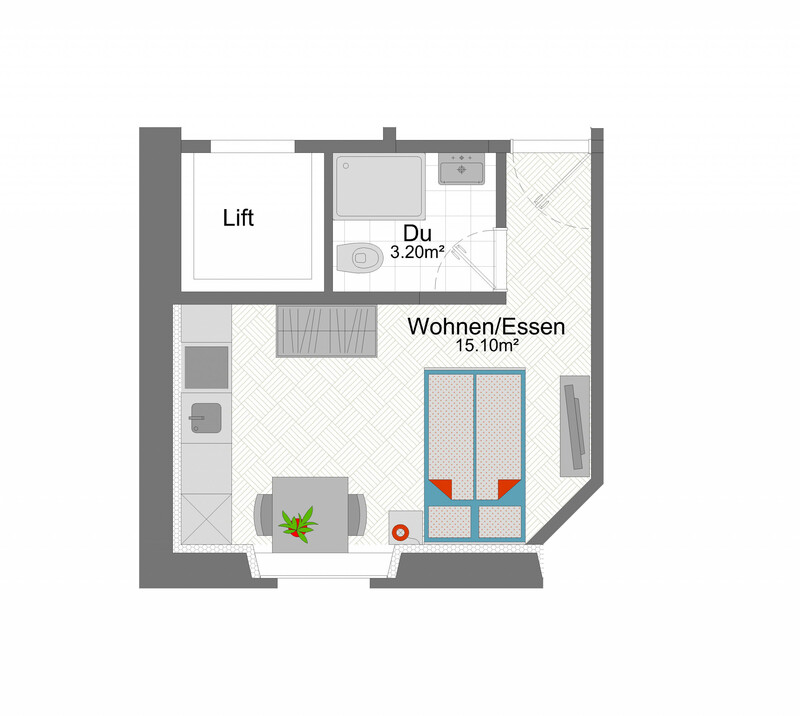 From here you can reach the main station and the airport by train in 5 minutes. 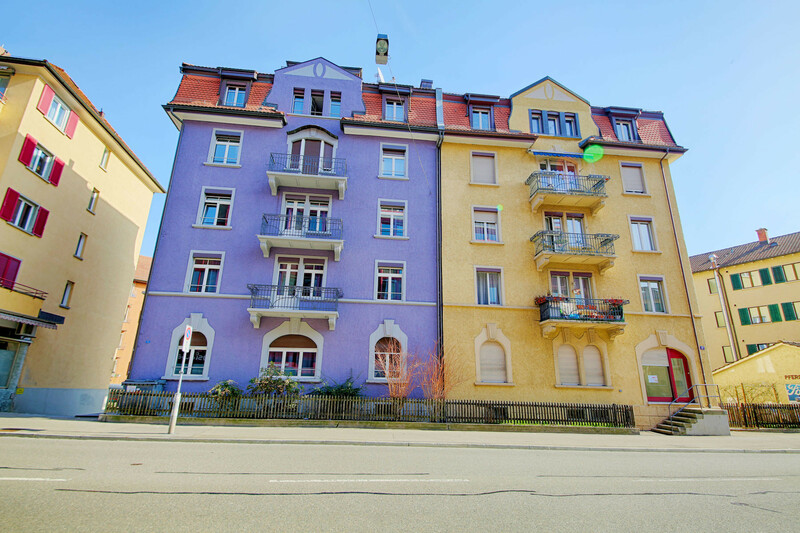 In the immediate vicinity you will also find many shops, restaurants and the Sternen Oerlikon tram and bus station. 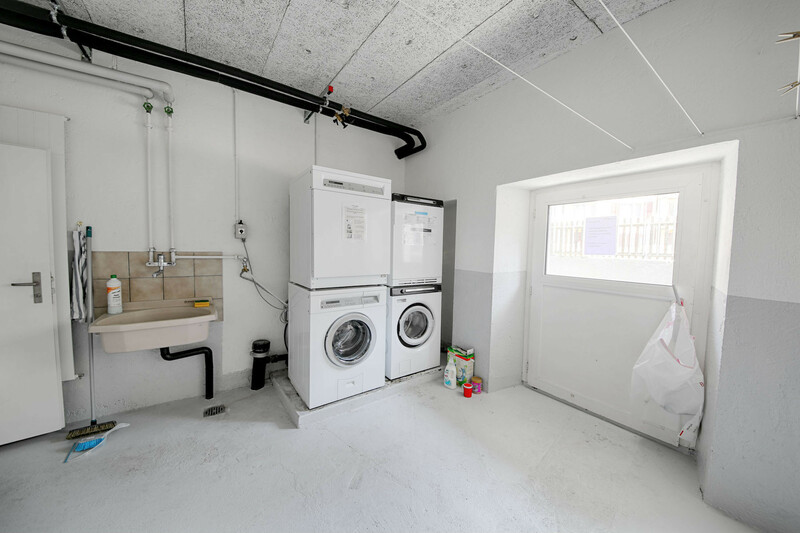 1 TV, TV Satellite (Languages: Spanish, English, German, French, Russian), Stereo, 4rd floor, lift, iron, internet (Wi-Fi), hair dryer, 18 m² property, pet-friendly (Dangerous breed dogs not allowed), central heating, 1 fan.